Have you been to a service at St Laurence, even just on Christmas Eve? Have you been to a baptism, wedding, funeral, or visited a grave-site, at St Laurence? 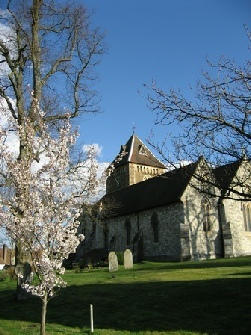 Have you strolled around the village and admired the view of the church in its setting? Have you brought visitors to look around the village, including a look in or at the church? Have you attended a memorial service at the War Memorial? If your answer to any of these questions is “yes” then you have been a user of the church, so why not consider becoming a Friend of St Laurence and help us to keep it “looking good”? It would cost you only a penny a day! which has been optimised for viewing on smart-phones.